Affordable treatments that deliver results! LET'S GET YOUR SKIN IN SHAPE! Erase 5 years in 55 minutes for $129*. We are passionate about SKIN and guarantee our results! At Club Skin Gym we believe your face deserves as much care as your body. We also know that clear and youthful skin can enhance your beauty and put a serious bounce in your step! Our goal is to educate our clients and develop a treatment plan that will have you walking out the door with skin-confidence and swagger. The days of only working out your body are over! Our exclusive skin renewal and rejuvenation process will make your skin tighter, brighter, and smoother. 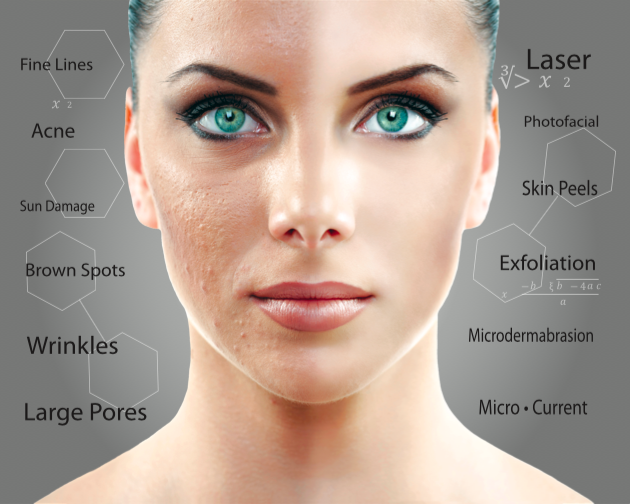 All of our anti-aging machines are FDA approved to treat aging skin, muscle sagging, fine lines, wrinkles, scars, teenage/adult acne, hyper-pigmentation, sun-damage, dark circles, dry skin, and more. Come in to experience what skincare SHOULD BE LIKE with one of our Face Trainers! We hope you are ready to glow! Post our hashtags for a chance to be featured on our Social Media!